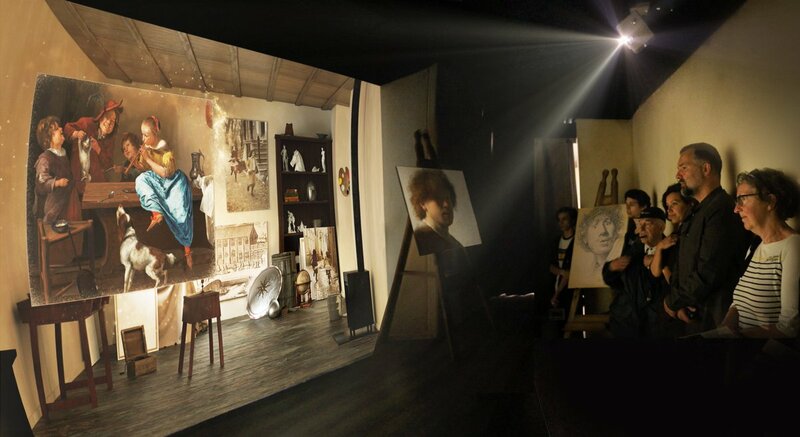 MotionPark creates compelling video and sound material for immersive experiences in theme parks and museums. Our services include attraction videos and sound content, pepper ghosts, video mapping, animations, queue and pre-show movies. In corporation with AudioSync Works we created a video mapping animation for “the Forbidden Caves” a new attraction in Bobbejaanland. In the pre show of the attraction a stone statue comes to life and starts talking to the visitors. We created an overview of a new to build resort called Adventure World Warsaw. We filmed and edited the commercial which was showcased in Poland. This commercial was made for the company Jora Vision which was in charge of designing the park. For the educational theme park Vulcania (France) we created the video content for a dark ride called Volcans Sacrés. In addition we created a total of 10 graphical animations which explain the mythical stories of the different volcanoes around the world. This video was used in the Pre-show. Jora Vision was in charge of designing and building the complete ride. MotionPark was asked to make an overview movie which explains the concept of a new theme park in Lisbon: Feira Popular. Jora Vision hired MotionPark for the production of this video and provided the creative script. For the event called The Rembrandt Awards, we created several promo’s and video’s to promote the event. The video is used in different ways during the live event usually helt in the nostalgic cinema Tuschinki Amsterdam. Anapa Park was a new planned resort in Russia. The company Jora Vision, in charge of designing the resort, asked MotionPark to create an overview video of the resort. We animated texts, drawings and visuals to explain the project to the municipality and potential investors. For the Floriade, the company Jora Vision was asked to build a flower bulb exposition. We created the animated video for one of the exhibits which explains how to plant Flower Bulbs. For the Film Front Festival we created several videos and motion graphics for the promotion on their website. Also several leaders and bumpers where used during the award show ceremony.